Businesses commonly need to covert files to and from PDF documents in order to make them more compatible or usable in various situations. Instead of purchasing expensive software and spending hours trying to convert documents, our clients turn to eRecordsUSA for professional PDF Conversion Services. Image Only PDF Documents – This is the most basic form of PDF. If you want image only PDFs with your document scanning services, the end result will be scanned images of your documents. You will not be able to use search functions to locate specific text on the pages. Word Processor Document to PDF – This type of conversion takes a text document, such as a Microsoft Word file, and converts it into a PDF document. 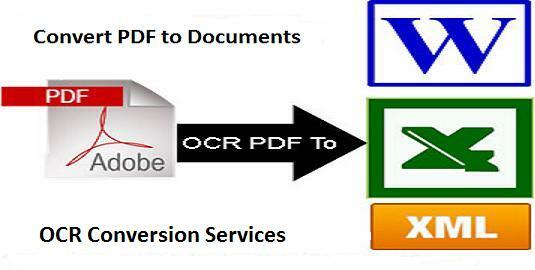 This PDF conversion is often used by individuals who want to create searchable PDFs from existing text files. Image Plus Hidden Text PDFs – Most businesses choose this form of PDF conversion, as the reader of the PDF sees the scanned document in its original form, but the PDF is searchable. The searchable, converted text is hidden, but will allow users of the PDF to be guided to the information they need. At eRecordsUSA, you can access document scanning and PDF conversion professionals who understand your challenges and have valuable and flexible solutions. Regardless of the size or complexity of your project, we can design a custom package that will meet your needs. All of your electronic documents will be checked closely for accuracy. We understand that you need functional and correct files returned to you in a timely manner. At eRecordsUSA, your satisfaction is guaranteed. Contact us today to learn more about how we can assist you. To receive a free, no obligation, quote for PDF Conversion Services, call 855.722.6669 now.